Samsung prepping 5.1 inch and 6 inch Galaxy Mega sequels? Last year, Samsung introduced us to two large screened phones with its Galaxy Mega series. The Samsung Galaxy Mega 5.8 and Samsung Galaxy Mega 6.3, with screen sizes of 5.8 inches and 6.3 inches respectively, were released in between the launch of the Samsung Galaxy S4 and the Samsung Galaxy Note 3. Just the other day, master leaker evleaks revealed that a 5.1 inch Samsung produced phone, with the model number SM-G750, is on the way to AT&T. At first, it was thought that this could be a Neo version of the Samsung Galaxy S5. Now, a tweet from evleaks reveals that the SM-G750 is the Samsung Galaxy Mega 2. A previous listing on the Zauba import-export tracking site for India, revealed a SM-G750H being sent to Samsung India, with a 5.1 inch screen. Another, more recent listing on the Zauba site, shows the SM-G750F as coming n with a screen-size of 6 inches. If we assume that evleaks is right and the SM-G750H is the Galaxy Mega 2, it would make sense that the SM-G750F would be the larger sized 6 inch version of the Galaxy Mega sequel. Other specs could include a quad-core 2.3GHz Snapdragon 800 and a 720 x 1280 resolution screen. 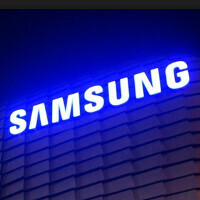 Two new Samsung Galaxy Mega models on the way? I'm just sick of hearing of so many stupid phones made by Samsung already. I'm a HTC M8 owner and to be hones I'm also sick with their mid range phones. It has to stop. Apple makes two cellphone devices every year, and gives a 100% to those devices. Why in the hell is Samsung releasing so many tablets, so many phones. They're creating their own device depreciation. That's why a new release Galaxy phone becomes extremely cheap to acquire within 6 months.The only device that may hold it's value is the Note series, and that is because of the stylus pen. Create 3 divices, A Note, A S 5.1 inches and, S Mini 4.5 and make them look the same (extremely high quality, NO PLASTIC), same latest flagship hardware, keep them updated as soon as Google releases they software updates. That's the reason I went with the M8. They forget the user who buy something that is not the Note, or flagship S's. and don't update those devices. Btw, The Mega is the stupidest phone in the market ever made. What the hell where you thinking Samsung. The mega makes you look low class, like a buying a used Mercedes with neon lights, tiger interior seats and gold rims. Close minded much? Some people can't afford to buy the mini series, let alone the S5. Not all samsung phones are created to statisfy YOUR wants.There's a big market for low end devices or moderate specs, affordable phones. Many people around the world dont buy flagship tier phones. Yeah i know that, but i thought mega series are meant for a phone with 5.5" screen or more. Samsung has affordable S series called Ace. well, having reached the in my eyes end of the whole screen resolution race, they will need to find new buzz words and such, and while I'd love to see companies innovate more, it is getting really tough to think up stuff that would be actually practical that isn't already on a smart device already. So, buzzword battle time? I mean this sounds like a counter to the new ipad pro thing? Seriously though, I'd love to hear if people have any ideas on something practical to put in a phone, not just a gimmick but something that would be useful and practical, and not just something you might not even end up using, am curious since I'm having a tough time. Other than better/longer lasting batteries, I would say they should focus on usability. Unbloat and optimize the software. Uh, and hand-free controls are also nice. I just hope manufacturers stop putting stuff like heartbeatsensors and other fitness stuff in mainstream phones, which only a small amount of consumers use. Project Ara? :) Apart from that I think your idea would be hard to manage. the spare room resulting from the bigger screen would have to be used by a bigger battery (or the phone has to be thinner). But it seems like Samsungs strategy is to throw phones in every possible configuration on the market to accommodate to wishes like yours. Maybe the eyephone from futurama, you know, a real retina screen has the right idea? As others have commented the models are so similar to one another. So now the Mega is shrinking its size to the Note 3? So just get the Note 3. I switched carriers to get the Mega because of its size. I'd like the size to remain the same or increase not decrease. Other things I want are OEM Mega sized batteries. How about a Mega 2 with 6.75" screen, 6600 mAh battery, excellent fast camera capable of 300fps. I hope they read these posts. Well, the mega has no stylus support and lesser specs than the Note (why they make one with a 5.1" display and still call it "Mega" is lost on me, though. This is just the first leak. The 2nd model mentioned is supposed to have a 6" screen, but I guess they'll stick with the 6.3" of the previous model. I guess we'll just have to wait for further info. the mega doesn't have a stylus. samsung seems to make phones for every possible configuration. at least they're on the way to that. Facepalm!! Go home sammyy. Im confuse what wud b ur best device???! So far others are just starting to follow. another thing is is that when they do remakes (mega,neo,tabs,etc) they butcher the specs DOWN. which isn't necessarily a bad thing in my mind. but the problem is they don't change the price accordingly. i know im almost a month late to respond back. your right on that part about pricing not going down. true. but idk if you saw my capitalization on the word DOWN. exa: Samsung: "People of the world! You spoke we listened. Introducing the Galaxy Note 3! 2000bhz (billahertz) processor/7000GB of ram/12000GB storage space with sd card expansion up to 5451GB/18000000000MP back facing camera (work with me here i'm emphasizing) blah blah blah etc etc. (3 months later) Samsung:"People of the world! You spoke we listened again. Introducing the Galaxy Note 3 Neo! 2Mhz processor/4.3mb of ram/3KB of storage space and best of all a .0002MP VGA back facing camera. like i said. BUTCHERED DOWN specs Please people don't come on me with the hate mail saying i'm crazy where did i ever get these specs from. like i said... I'M EMPHASIZING!!!!!!!!!! !